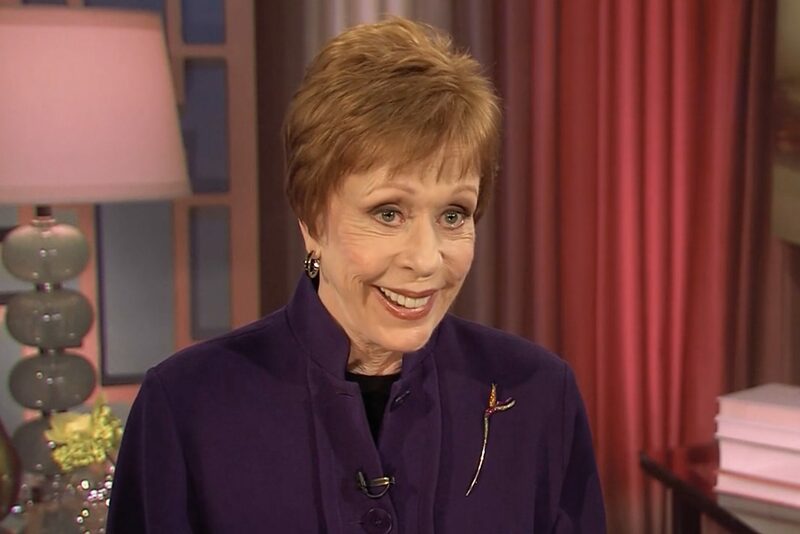 At 85 year-old, the unfailingly eloquent comic has had a career spanning over five decades on television, delivering her individual and beloved style of comedy primarily through her most well-known work, The Carol Burnett Show. Nearly every seat in the auditorium was filled and when the lights dimmed people were immediately drawn into one of the several nostalgic montages that were played over the course of the night. Beginning as she did with her show many years ago, clips of Burnett performing her iconic Tarzan yell transitioned across the screen. As the real-life woman walked across the stage, the queen of comedy was immediately treated like the entertainment royalty she is, with the entire audience standing up and cheering over her presence. Resolutely humble, Burnett effortlessly guided the night through a series of questions and answers with the crowd — similar to what was originally done during the opening of her TV show — and kept everyone in attendance laughing at each of her responses. The comedian looked exceptional in a glittery outfit that she claimed was “at least 40 years old” and showed off her sharp wit with every answer she gave. Her legacy is something that continues to flourish today, especially with clips of her show living on YouTube, from where she has gained a recent influx of young fans who have started watching her sketches. Questions ranged from queries regarding her career and co-stars to her general opinions, including her thoughts on Donald Trump. She relayed anecdotes that were primarily connected to defining points in her career, including her friendships and working relationships with other prominent women in the industry, like Julie Andrews and Lucille Ball. Burnett detailed a story about the time she was having a drink with Ball, who was lamenting the difficulties she had not having her ex-husband help her with the more tedious parts of her job. Ball explained that she experienced a disagreement about a script with some of her writers and decided that she had to be confrontational about it in order to get what she wanted. Between the endless laughter and interesting stories, there were heartfelt moments where members of the audience conveyed just how much Burnett meant to them. One man told her that he had pursued a career in musical theatre because of her and sang a touching rendition of “Sweet Caroline” with altered lyrics about her and her career. A woman in the front row tearfully told Burnett that her show was “the only bright spot in her difficult childhood” and could barely finish thanking her for bringing her joy when she needed it most. A proud, self-proclaimed 17 year-old girl said that Burnett was one of her heroes and that she gave one of the best things someone could bring to the world — laughter. The clips from her show that were interspersed throughout the evening showcased just how much talent she has — from her impressive singing skills, flawless comedic timing and natural ability to play-off anyone she shared a scene with — proving that she continues to shine in both the past and present. Burnett is still able to leave audiences throwing their heads back with laughter after years of work and at 85, she continues to leave an impression on those new to her and those familiar. She gracefully exited the stage after enthusiastic applause and left an unshakeable feeling of contended warmth that seemed to ripple throughout everyone who was present. It takes a special kind of talent to deliver the impact that she did, and she certainly made the evening a memorable one because of it.